Like every week, we have come up with the glimpse of the top five funding activities that took place this week. As you might already know, funding is an essential part of a business, especially for the startups. Without funding, the startups cannot look forward to grow and expand as per their plans. This particular week was quite active in terms of fundraising. Various companies, startups raised a valuable amount of funds from well-known investors. The company that raised the highest amount of funds was AutoGrid. It raised $32 million in Series D funding. Well, lets now have a look at all the top five funding activities that made it to the list. Pune-based fintech startup Bon has reportedly raised funds amounting to $1.1 million (Rs 7.8 crore) in seed funding. The particular round was led by Omidyar Network, Axilor Ventures and Better Capital’s AngelList India Syndicate. The funds raised by the company will be utilized towards helping the company’s further partnerships with banks, non-banking financial companies (NBFC). Also, it plans to expand its existence to 25 cities across India over the next 18 months and launch its operations in other markets in Asia as well. The primary goal of the company is to facilitate short-term credit to meet working capital needs for recurring expenses by these workers. New Delhi based Micro-financing group, Satya MicroCapital raises close to $5 million (Rs. 34 crores) from leading Swiss impact investment manager BlueOrchard Finance Ltd. for on-lendingto the Indian micro, small, and medium business sector. The funding comes equally from two BlueOrchard managed funds, the Microfinance Initiative for Asia (MIFA), which is the first microfinance initiative of its size to exclusively target Asian microfinance institutions, and the Japan ASEAN Women Empowerment Fund (JAWEF), which is the first fund investing with female micro-entrepreneurs in the Southeast Asian frontier and emerging markets. 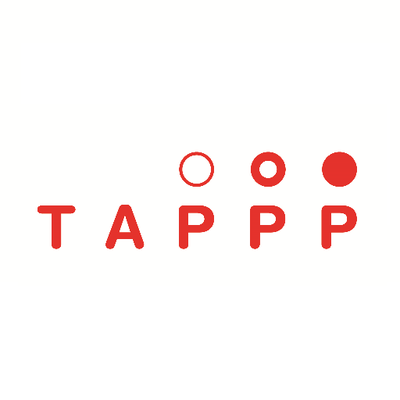 A prepaid consumer marketplace Tappp, which offers global access to premium live sports content, has raised funds amounting to $5 million in Series-A funding. The round was led by global sports tech venture fund ADvantage. The round also witnessed participation from leading venture capital firms and sports technology investors such as Elysian Park (LA Dodgers fund), Accomplice, Go4it, Courtside VC and Sterling VC. The company is planning to utilize these funds for research and development in India. The company also plans to invest majorly in areas like artificial intelligence to match micro payments to specific content, and in the product, market expansion and adding major sports that fans love. The funds so raised by the company are being planned to be used in deploying more resources and upgrade its services for a better customer experience. The company stated that the funding was received in various rounds, with the final tranche coming this month. The company is planning to use these funds to accelerate growth and further increase its product differentiation. The team is also expecting to hire experts in the fields of AI, big data, IoT, and energy.